We are engaged in offering a wide range of Coir Mats at the most reasonable price to the clients. 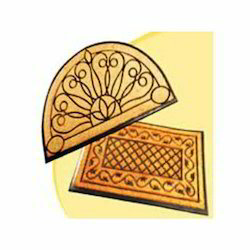 We have marked a distinct and dynamic position in the market by providing a high quality array of Coir Door Mat. 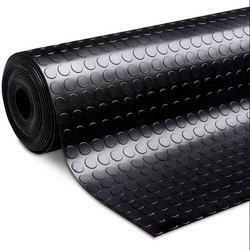 We are offering a wide range of Spread Walk Mat. Walk mat spread out on soil or snow slippery path way gives a good hold while walking. An attractive variety of Coir Mats is being offered by us at industry leading prices. These are used in homes, hotels and resorts cleaning the feet and shoes at entrances or doors. Our coir mats come in splendid designs and patterns, so as to add to the décor of the interiors. Moreover, these are highly effective in extracting dust or moisture from the shoes. The Coir Mat is having 4mm thickness. It is useful to making composites..
Coir Mat are made on traditional handlooms or power looms. It’s mainly used as floor coverings, runners for furnishing stairs or corridors, wall paneling, ceiling, etc. Available in Natural, Bleached and Solid Colours and a multitude of designs/patterns, made by weave and colour combinations with or without latex backing. Our company holds immense experience in this domain and is involved in offering wide assortment of Coir Door Mat (Coir Vinyl Backed Mat). Accredited for our wide range of Car Printed Coir Doormat, we are offering a premium quality. Enriched with years of experience in the industry, we are engaged in offering Coir Floor Mat.